Gwent is a little collectible card game you can play with an assortment of characters throughout the world. I know that sort of thing is popular in RPGs, but here’s the thing: I actually wanted to learn how to play, and master Gwent. It’s like Magic the Gathering except you have no mana, and you only have a limited number of cards to play with for three rounds (so if you use 9 of your 10 cards in the first round, you only have one card to last the other 2 rounds). It’s simple, addictive fun, but it requires clever strategy if you want to beat the toughest opponents. Most card games within games feel throwaway, but I found myself talking to everybody in every town just to see who wanted to play Gwent with me. 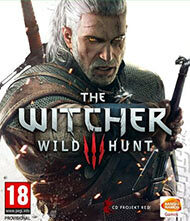 I want it to be a real thing, so get on that, CD Projekt! There are a couple of complaints I have about The Witcher 3. It champions itself as a standalone game meant to welcome newcomers to the series. While this is mostly true, I faced a couple of issues as just such a newcomer. The first was the combat. Yes, it is fast-paced and for the most part there are no issues with that itself. However, I don’t feel the system itself is fully explained. You really do have to grow accustomed to reading the bestiaries in order to research your foes, using oils, your spells, and various other tactics in order to come out on top. It's easy for newcomers to just assume that swordplay can be the main focus of combat (heck, Geralt carries two swords!) and therefore magic and other tools are optional outside of major battles. In most games that is the case, so personally I wanted a little more explanation of how important it would be to utilize what you had at your disposal instead of just grinding through weaker monsters as you can do in other RPG titles. This actually brings me to another one of my issues with the game. 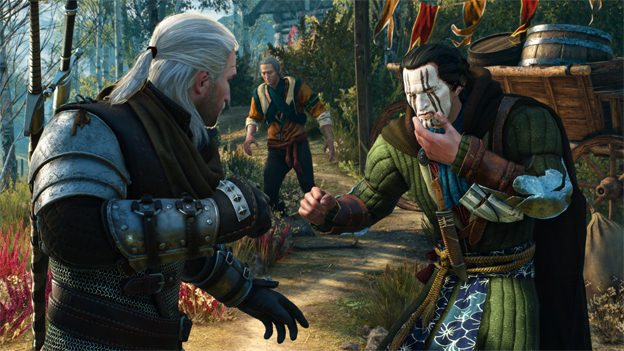 Grinding, or farming as the kids are calling it these days, is not really an option in The Witcher 3. Yes, you can ride around slaying this enemy or that as they appear, but ultimately the piddly amount of experience you get from killing them just doesn’t balance out with the time you put in. Don't expect a single level to make a large difference in your power, either. You'll need to use strategy and either find or craft improved equipment to survive even ordinary fights. This is, of course, a design decision by CD Projekt and I can’t fault them for that, but from a personal standpoint, level grinding is something of a staple in the genre and to have it lacking seems punishing for the quests you're assigned, especially early in the game. For example, when I was around level 6 and was fighting level 3 or 4 enemies, they were still damaging me for a quarter of my health points and it didn't feel like my damage had gone up much, if at all. If anything, this isn't a complaint about the game's design, but about the need to better ease new players into the unique systems found in The Witcher series. Even with these complaints, The Witcher 3: Wild Hunt is one of the best RPGs I have ever experienced in gaming. There’s so much to this adventure, you’d be missing out on a great experience if you pass it up. It's absolutely perfect for the current gaming drought, but even if it had hit with a handful of other triple A titles, I would still stand by this being the best game of the year so far, and it's going to be a tough one to beat. This game is gorgeous to look at. There are a few “issues” but those seem commonplace with open-world games. I am torn about the controls. They are fluid, but at the same time feel awkward at times, even a little repetitive. The music, voice acting, and everything in between sound fantastic. It is really easy to lose yourself in this game. There’s so much depth to this game, you will be playing for a long time and won’t even realize you are. A gigantic and limitless open world to explore. Unparalleled novel-like story, spanning over 100 hours of gameplay. Genre-defining, truly next-generation audiovisual fidelity.